We are delighted that our first project was a partnership with ‘Hamara School’, a shelter for underprivileged children in Goa. Hamara School cares for 80+ children of construction workers, migrants and other low-income families by looking after their food, clothing, after-school studies and provides a safe place for children to stay. 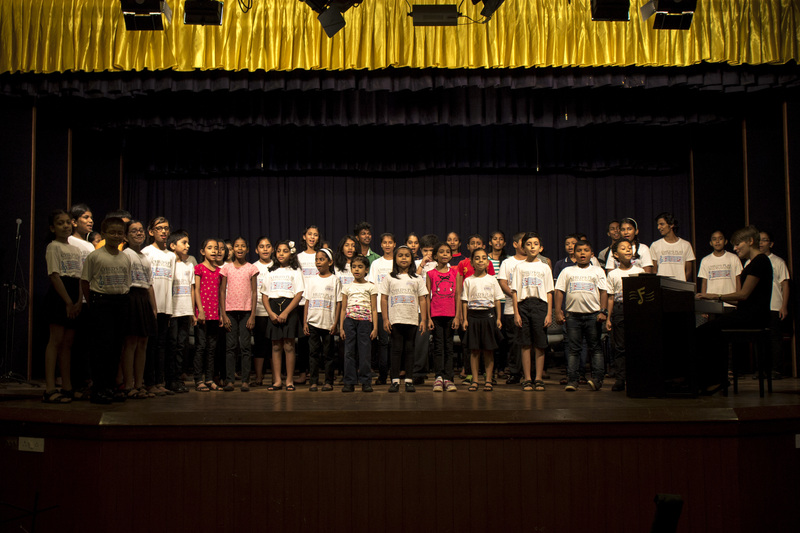 Currently, we have over 20 children from Hamara School learning violin, cello, flute and choir with us. Since 2011, we have an after-school project at Auxilium School in Caranzalem, a suburb of Panjim, Goa's capital. The project, open to all children of the school, has students from all walks of life learning music with us. 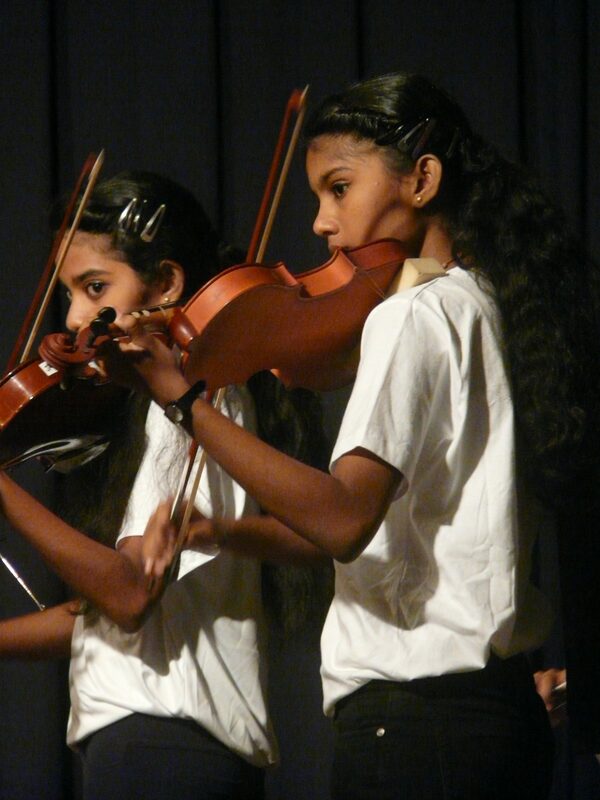 We currently teach violin, viola, cello and choir at Auxilium school. In August 2015, we launched a village project in the lovely village of Santa Cruz, a few miles outside Panjim. 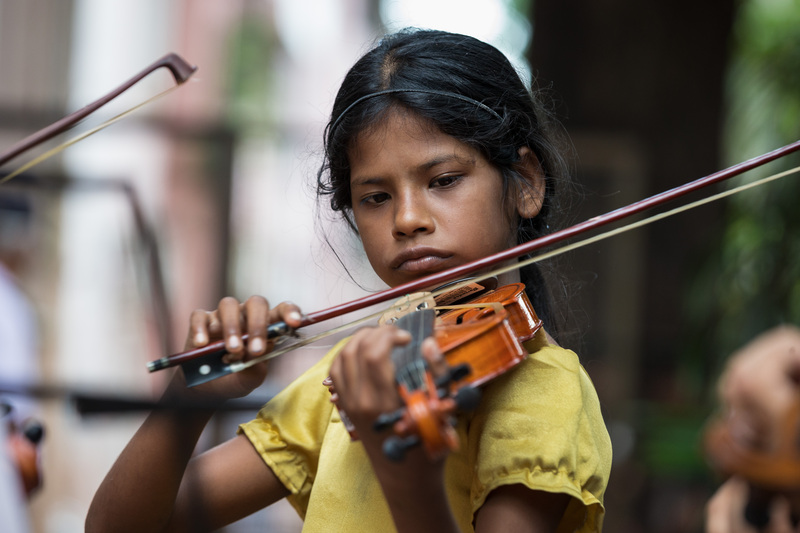 The Santa Cruz church and parish school have both been very welcoming of Child's Play India and thanks to their support, we have after-school project that provides instruction in violin and piano to any child from the village. In October 2018, we're restarting our choral project open to all village children and are excited to see how it goes! India has very few cello players. This is because we have very few qualified and trained cello teachers who can work with young children. The absence of good cellists and cello teachers affects us all. We have fewer cellists in orchestras across the country, which affects the quality of the sound. There's also very little chamber music happening as without cellists it is almost impossible to play ensemble music. 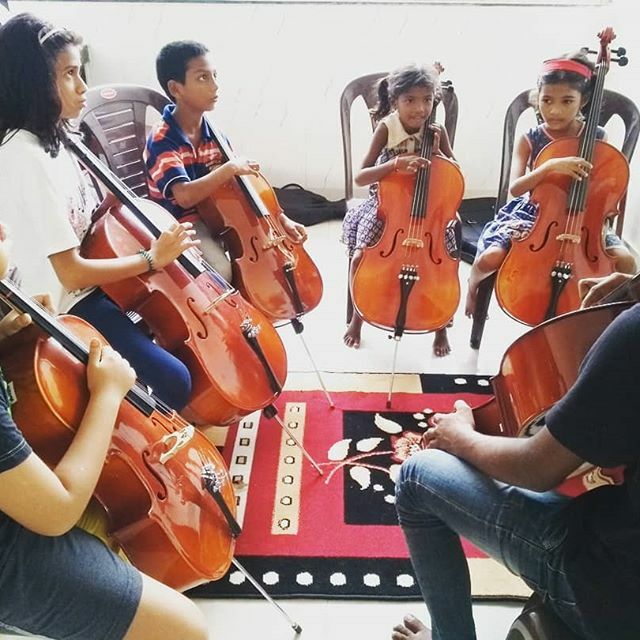 At Child’s Play India, we are building a new generation of cellists by bringing in qualified overseas teachers who will not only teach our children, but also work with local teachers and our senior students to be future teachers. The cello project is open to the community as we want many people (children, young people and adults) to begin learning this instrument. 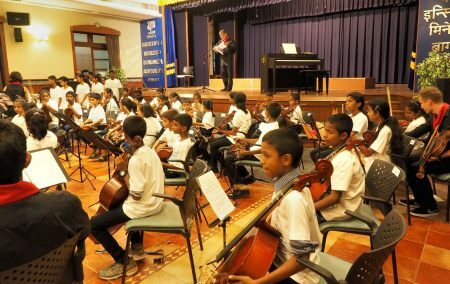 Students from the wider community will offset their own costs and purchase/rent their own instruments, so our limited funds will continue being used for the disadvantaged sector. 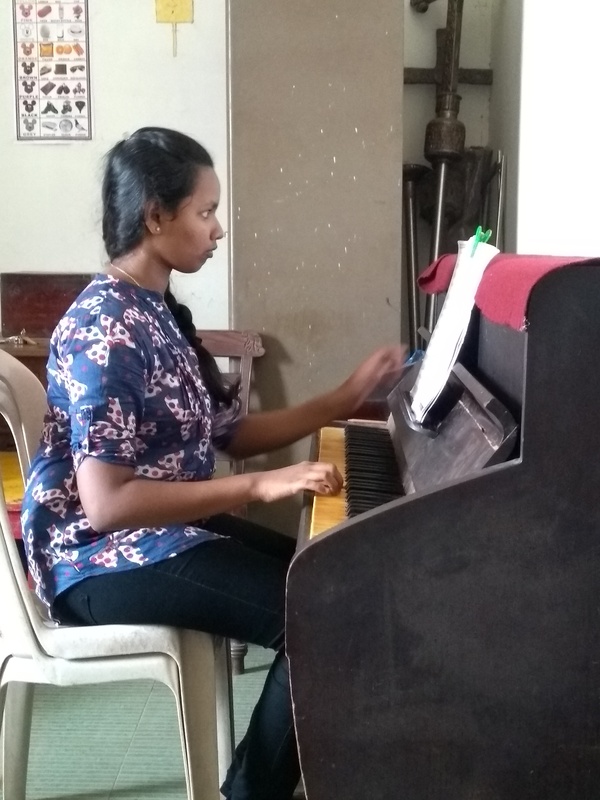 The Child's Play Chorus is made up of children from across our various projects (Hamara School, Auxilium school Caranzalem, St. Cruz village project and our community choir, which is open to other children of the community). We currently have over 50 children in our choral project. In 2013, we launched Camerata Child’s Play, our chamber ensemble made up of young local musicians and advanced children of Child’s Play. Since April 2013, Camerata has performed over 20 concerts including at the prestigious Monte Music Festival in Goa. In 2015, our children’s orchestra made its debut. 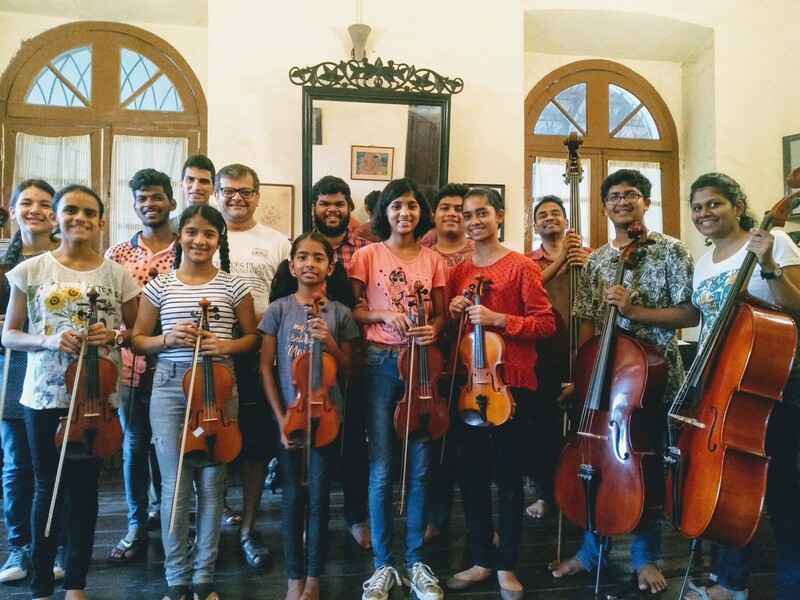 With over 60 children playing violin, viola, cello, recorder, flute and clarinet, the orchestra is a wonderful (and rare) opportunity for children to experience the joy of making music together. Many of the children in the Junior Camerata are moving on to playing with the Camerata which is an incredible measure of advancement and accomplishment. In June 2012, we collaborated with children's rights charity Mitsuko Trust to teach the children in their care recorder and flute. The project ran successfully for two years but had to conclude for various reasons including transportation issues for the children to come to the Mitsuko center. 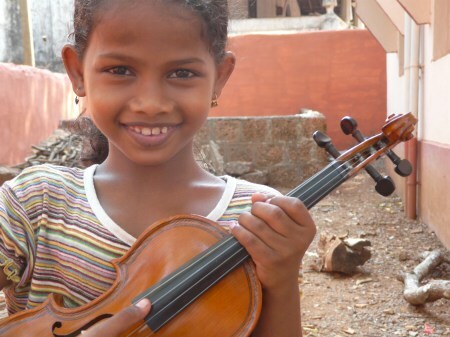 From January 2013 - April 2015 we had a thriving violin project at Auxilium school, Aldona for around 45 children ages 6-10. The project had to be regrettably put on hold as we don’t have a teacher at the moment who can travel to Aldona.